Garages — Stirling Group, Inc. Designed and Ready to Build! 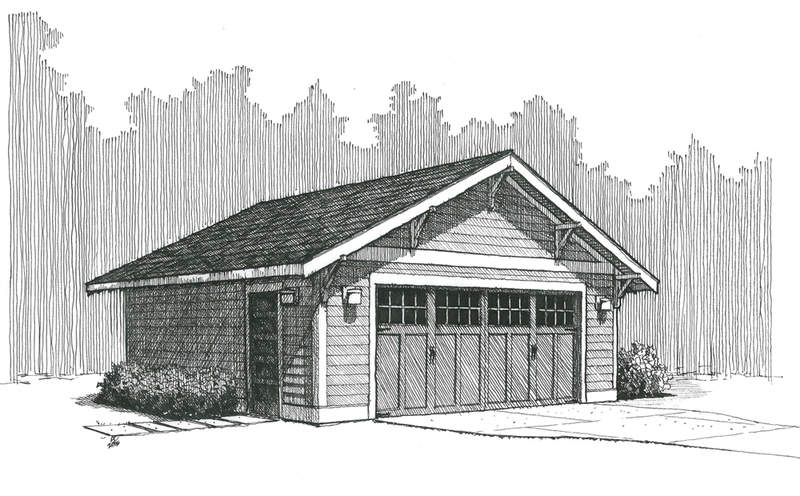 THE MIDWOOD is a craftsman inspired 2 car garage with open rafter tails, mortised gable brackets, detailed custom trim. 23' x 24' footprint designed to fit slender lots. Designed, engineered, and ready to build! Options for wood or steel door, interior finish, electrical, partitioned interior space, lighting, storage, siding material, and others. $36,500 Cementitious exterior starting price. $46,000 Solid solid wood exterior starting price. Base pricing includes design selection assistance, concrete slab foundation, 2x6 wood framed walls, 4 interior lights, 3 exterior coach lights, unfinished interior, exterior trimmed as pictured, 3 color paint exterior, 30 year architectural roof shingle. Our process yields lower cost with high end detail. We've packed years of craftsmanship experience into a well designed garage that's ready to build now. STEP 1 Contact us for consultation. We'll discuss timing, options, process, materials, lot placement, driveway and use of space. 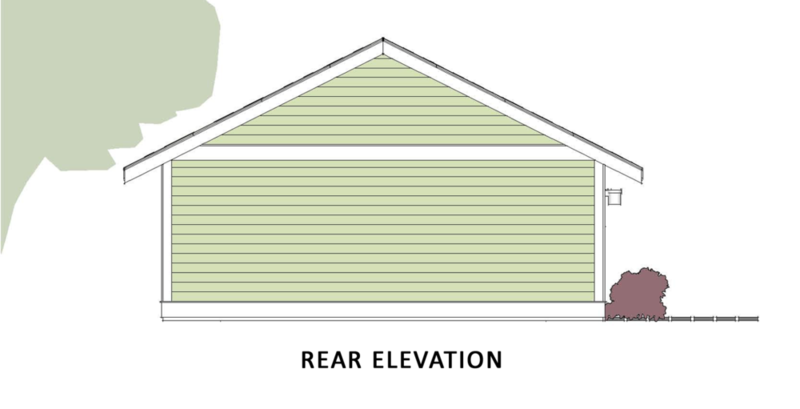 Will your garage also serve as a man cave, she shed, crafting cabin or in-law retreat? STEP 2 Complete Selections & Design. We pair you with a designer as part of our service to assist with colors, detail, and design refinement. We have years of experience and ideas to pull inspiration. STEP 3 Pricing & Proposal. With selection & design detail in hand we'll then price and move us one step closer to building. You'll receive a detailed proposal for review and signature. STEP 4 Build it. 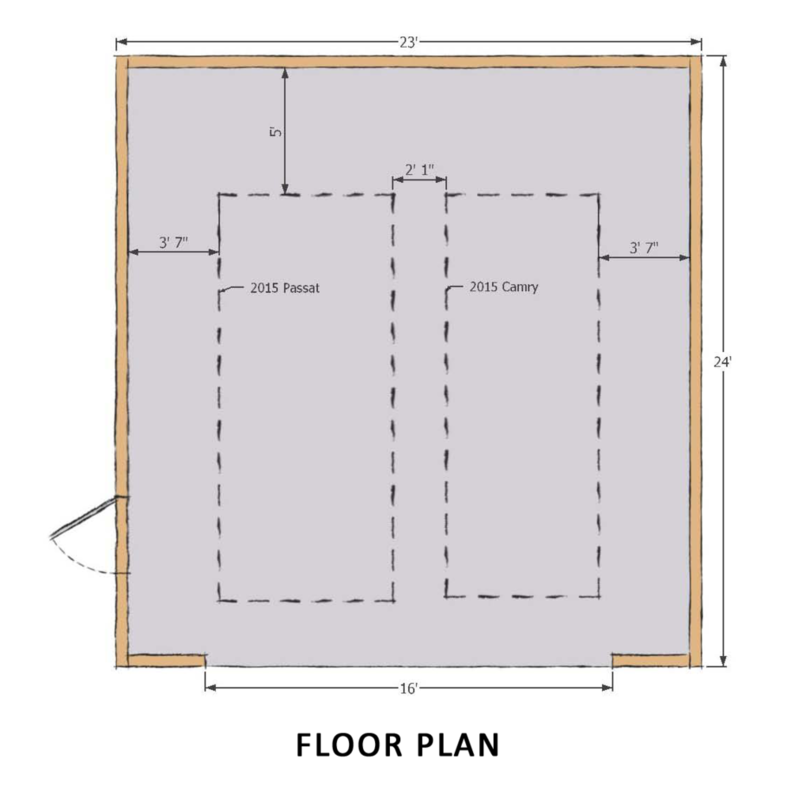 You'll receive an engineered plan set with listed selections and schedule. We pull permits, survey foundation corners, and construction proceeds.